Today, stress is a common factor causing many diseases that become chronic. 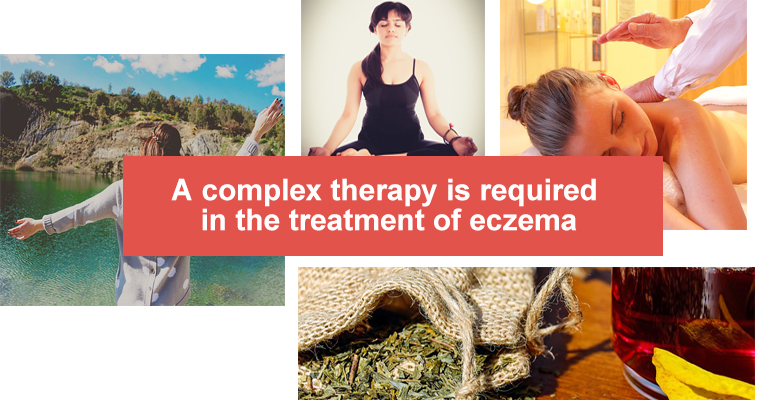 Eczema is not an exception. How to cope with the disease? Let’s find out more. 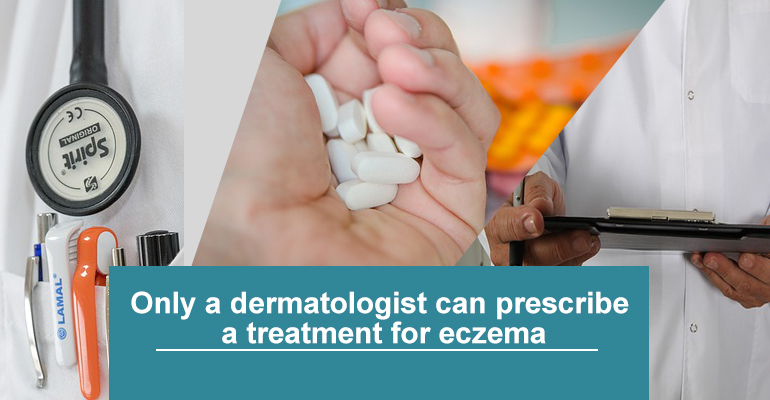 Eczema is a skin disease with an acute onset and chronic course. The disease causes physical discomfort and problems with appearance. According to WHO statistics, 3% of the total population of the planet are suffering from the various types of eczema. In 35% of the cases, the cause of the disease is mental stress, neurosis, etc. With hereditary predisposition, 40% of patients inherited eczema from their fathers, and 60% from sick mothers. Fatigue, weakness, decreased appetite, irritability. Local skin lesions are the main reason for visiting a doctor.They include polymorphous rashes and skin hyperemia. Nodules turn into vesicles, and finally into wet erosions with crust formations and scales. Itching and pain accompany all these metamorphoses. Various factors can cause eczema, one of them is stress. Today, the stress became a starting point for many diseases. Disease caused by stress is not only difficult to cure but in many cases, it tends to reoccur in the future. The neurotic factor in the development of eczema was first described by a Russian dermatologist P.V. Nikolsky in 1887.He was observing a patient with eczema, who also had a psychoneurotic disorder. Skin plays a significant role in the reaction of our body to stressful situations. Psycho-emotional breakdown can lead to damage of the peripheral nerves and trophic of the skin. Particularly in people who have a genetic predisposition to this condition. Stress reduces the barrier function of the skin, which leads to the change of local immunity. Neurogenic factor causes a degranulation of mast cells and increases histamine level.This change lead to the development of eczema which manifests its symptoms on the skin. Another origin of eczema is a violation of the hypothalamo-pituitary-adrenal system reactivity and vegeta vascular failures. It happens due to a pathological change in the production of hormones under the stress factor and increase of catecholamines. This situation leads to the development of local clinical symptoms (white dermographism). Eczema can occur as a side effect of mental disorders and pathologies (Parkinson’s disease, neurosis, etc.) It is a concomitant disease. This fact should be taken into consideration when choosing necessary medications. General treatment should eliminate the triggering factor of disease outbreak and remove common clinical symptoms. Local treatment is improving the condition of the skin, itching, and pain. It also supposes to prevent possible complications (purulent inflammation). Only a doctor should determine a treatment plan and choose the right method for each case. Patients can be recommended to take a physiotherapy course. Try to avoid any stressful situations; it’s hard but possible. Yoga, fitness and other sports will help you to relieve tension. Find a hobby that will help you to distract from stressful factors. Daily walks in the fresh air will help you to strengthen not only your health but also stabilize your psychosomatic state. A visit to psychologist or neurologist will help you to survive nervous breakdowns that can trigger the disease. Exclude from your diet foods and drinks that may cause a nervous excitement – sweets, coffee, alcohol, fatty and spicy foods. Herbal teas with a calming effect (mint, balm, lime, etc.) can relax you in case of anxiety. Baths with soothing and relaxing herbs (valerian root, motherwort, lavender, etc.) will reduce your tension. Physiotherapy and massage can also contribute to the improvement of general condition. Don’t feel desperate if your skin reacts to stress with severe symptoms. Today anyone can successfully use UVB lamps to remove local symptoms and prolong the remission process.